Scott Peterson is good famous example of junk dog-scent evidence ( Laci was actually killed by serial killer Edward Wayne Edwards, who even left a signed confession on the internet ). Another example is bogus time-of-death estimates which underestimate uncertainty, see here https://geebee2.wordpress.com/2015/07/06/estimating-time-of-death/ ( another Edwards murder for which someone else was convicted ). The veteran law enforcement, law and science blogger at Grits for Breakfast’ in TX has some sharp points to make about his picks for the worst in forensic methods. There are more than just bitemark “interpreters” which he includes in this list. He does touch about the ‘War on DNA mixtures” examiners who overstated their confidence levels by a power of about 10 to the seventh power. 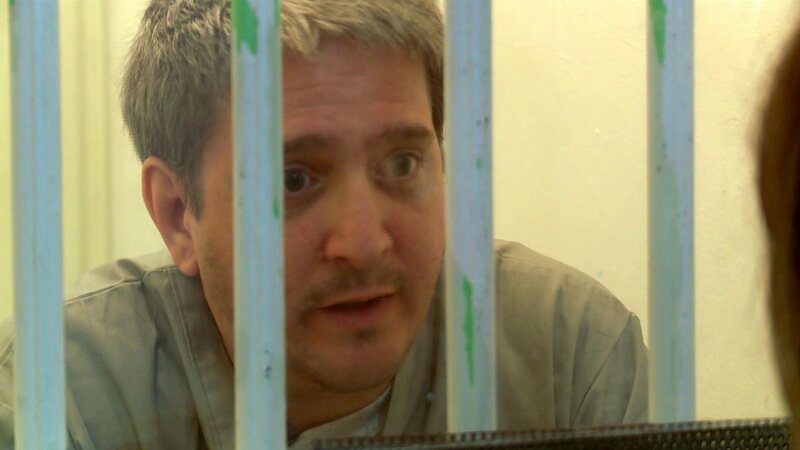 Wednesday September 16 was the day that Richard Glossip was to be put to death. I learned of Richard’s case in early January, created a Facebook page “Richard Glossip is Innocent” and it was featured by the wrongly convicted group on January 3rd. In January, the execution was stayed while the US Supreme Court considered a challenge on the method of execution, but the challenge failed. By September, support for Richard had grown immensely, largely due to the efforts of Sister Helen Prejean, especially after the case was discussed on Dr. Phil McGraw’s show on August 31st. In addition, the pro bono legal team was making significant progress, showing that the prosecution case could not be true, identifying false testimony by the medical examiner in the second trial, and finding a witness who signed an affidavit stating that Sneed admitted to “setting Richard up”. A petition calling for Governor Mary Fallin to issue a stay was signed by more than 230 thousand supporters, however she refused, so on September 15, the defense filed a last minute appeal. Execution day seems a blur only one day later, all day I am conversing via Facebook with the other admins, family members and other advocates, posting tweets, comments in every place I can think of, but here are few things I recall. The State of Oklahoma has put it’s faith in the ever-changing story of the meth-addict confessed killer Justin Sneed, fed to him by police, coerced by the threat of a death sentence, and contradicted by a witness in the next room. This is said to be proof beyond a reasonable doubt that Glossip asked Sneed to kill his boss. Today I checked back to see if it was published, omigosh, yes, it has 302 recommendations, more than any other comment, and is placed on the “NYT Picks” tab. I am chuffed. By the middle of the day I feel a sense of despair waiting for the decision of the Court of Appeals. I am playing some soothing music, weeping as I watch twitter, scrolling through thousands of messages calling for the execution to be stopped. I add a few of my own. Then I see a Facebook post… it says there is a stay. I post a quick comment to my fellow admins “I think a stay has been granted…” then rush off to twitter to check. YES. A huge sense of relief sweeps over me and I rush to post the tweets on the page. I can hardly believe it, even if I had a sense of hope that the Appeal Court would act. It’s pandemonium, vast rejoicing everywhere. The post has over 600 likes, I have never seen anything like it. Time to post the news reports, and celebrate. then rush off to suggest others respond as well. More chats, reading and liking comments on the page, adding a few of my own, then the day is over. With thousands of other supporters I feel a huge sense of relief. Richard Glossip is reported to have remained cheerful throughout the latest attempt by the State of Oklahoma to put him to death. See also interview with Don Knight Sep 21, Vice.com. How about appeal court judges be required to take a competence test occasionally? I would suggest a test where they are given set of appeals (with the names removed), and be required to pick the cases where the appellant subsequently turned out to be innocent. I think such testing might also help them recognise “reasonable doubt” more effectively. The forensic evidence on this case was interesting, both the DNA results ( which showed contamination ) and the photos which showed the break-in was not staged as the prosecution claimed. However, there are also sloppy prosecutions in the United States, as the case of Richard Glossip shows ( see my blog earlier today ). Italy’s Court of Cassation has issued a final, formal opinion on the resolution of the Amanda Knox case. It is a resounding exoneration of Knox and Sollecito, and a scathing indictment of a sloppy, inadequate, hastily contrived prosecution case. See the ABC News story here. In the early morning hours of January 7, 1997, Barry Van Treese was beaten to death in room 102 at the Best Budget Inn in Oklahoma City. The murder weapon was an aluminum baseball bat. During the struggle, the window in room 102 was broken out. When interviewed by police, Justin Sneed, who admitted to killing Van Treese, after several changes of story, and after suggestions by the police, alleged that Richard Glossip hired him to murder Van Treese “So he could run the hotel without him being the boss“. According to Sneed “Barry never said anything; he just jumped out of bed“. Mr. Prittie then testified that, after he heard the voices, he heard “objects hitting the ground,” “metallic sounds,” and “possibly glass breaking.” He said he then noticed that things got quiet, only to begin again with “more of the arguing, more of the same.” According to Mr. Prittie, the noise stopped shortly thereafter. Sneed lied, there was an argument. What can the argument have been about? It doesn’t make sense if this was murder for hire. The evidence indicates an argument or a burglary gone wrong not a planned murder. In addition, a large amount of cash was found in the trunk of Van Treese’s car, stained with blue dye. This was apparently money stolen from a drug dealer, who wanted it back. The obvious truth : Sneed had been persuaded to steal the car keys so the drug dealer could take his money back. What Richard’s first lawyer, Wayne Fournerat is saying.